Lewis Tree ServiceAboutSenior LeadershipLeadership TeamDennis L. Brown, Jr.
Dennis joined Lewis Tree Service in 1991 as a crew leader. He held the positions at Lewis of General Foreman, Area Manager, Division Manager, Regional Vice President and Chief Operating Officer. In 2015, Dennis was promoted to Chief Operating Officer of Lewis Tree. 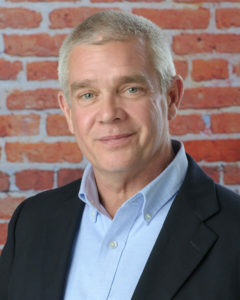 Prior to joining Lewis, Dennis was successfully employed at a residential tree and land-clearing company in northwestern Connecticut. He is an active member of the International Society of Arboriculture (ISA) and a strong supporter of the Utility Arborist Association (UAA). Dennis serves his community through his local church whenever possible. He enjoys spending time with his wife, his son, and three grandchildren, as well as traveling, camping, and motorcycling.